Western University's College of Allied Health Professions Department of Physical Therapy Education rocks! And apparently they attract beautiful, athletic people with big hearts. Joshua hanging with the girls on his team. at the pool in the park. Our kick-off year would not have been so soon had it not been for the excitement and motivation that several of the students at Western University had when they heard about the opportunity to represent Joshua in the Challenged Athletes' Foundation's annual San Diego Triathlon in La Jolla, CA. Thank you Natalie and all of our first year's athletes! 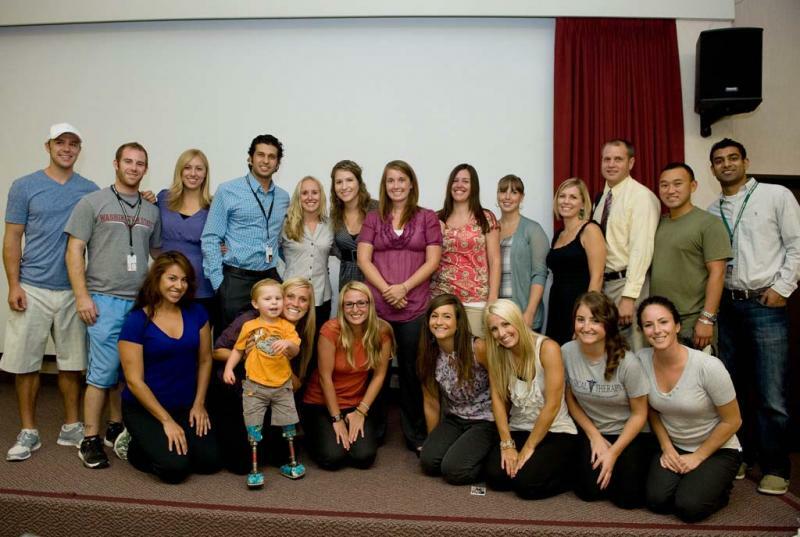 Click photo to see additional pictures of Joshua and presentation at Western U.